Here is a great snap of the 40 ft. Mural ‘Chin Up’ by Denver based artist SURJ, part of the ‘Duct work’ project underneath I-70. The mural is meant to represent battle tested spirit of the community that surrounds the area. With the bold, striking colors, the image is both potent and easily translatable. 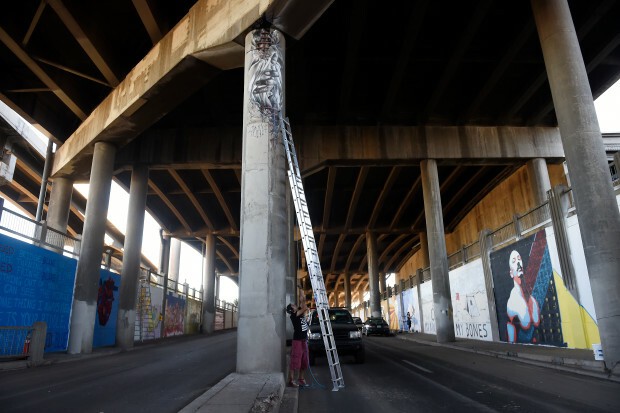 Gamma raises a ladder as he prepares to paint a mural on a column during Duct-Work in the I-70 Viaduct in Denver, Colorado on October 1, 2016. 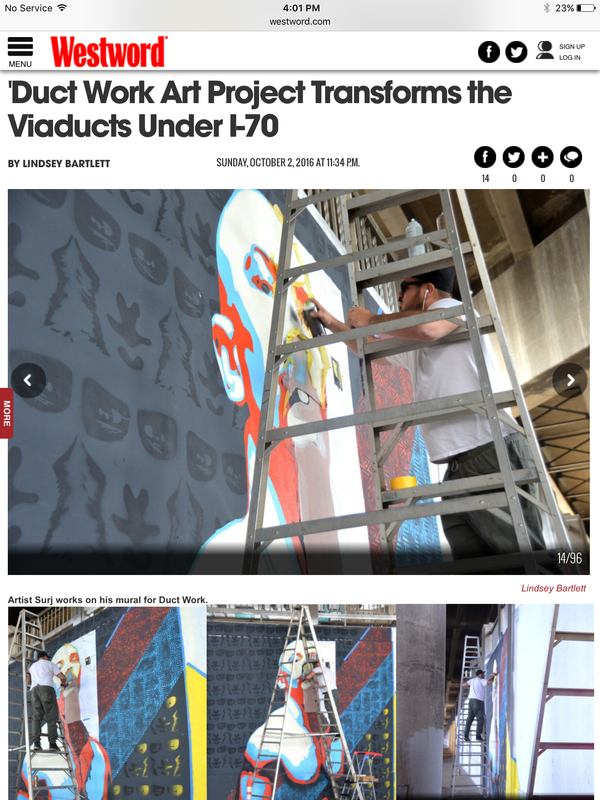 Denver Urban Arts Fund is helping to bring new life to the I-70 viaduct through art. Duct-Work features over 20 artists that are painting murals to bring color to the dark tunnel until the viaduct is destroyed in a few years. 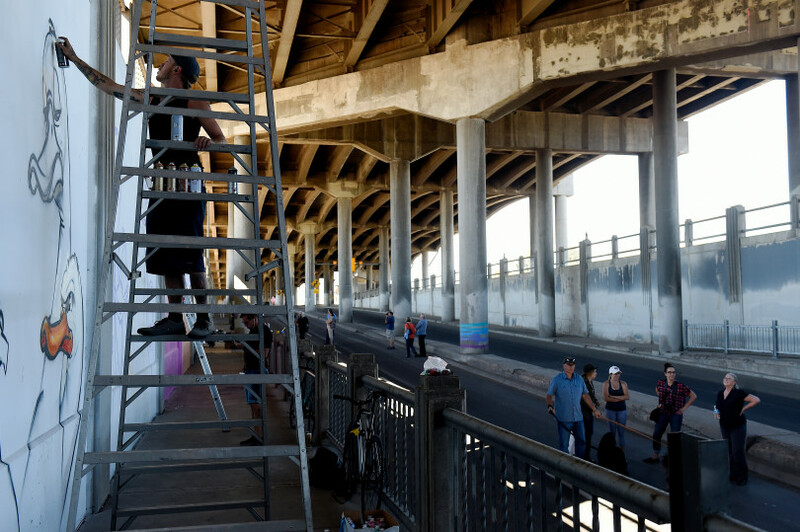 Robin Munro uses spray paint to create a mural on a wall as patrons look on during Duct-Work in the I-70 Viaduct in Denver, Colorado on October 1, 2016. The murals have an expiration date. Soon, CDOT plans to begin construction on the Central 70 Project, which aims to rejuvenate the I-70 route that passes through the Elyria-Swansea area. The design includes building a park over the strip where the artists painted their murals. Everything will be demolished at that time. That is how street art works though, it is meant to be short-lived!